The separated bow and stern sections of the Selendang Ayu near Skan Bay in the Aleutian Islands, Alaska. Despite the seriousness of the threat, the use of Heavy Fuel Oil (HFO) by ships in the Arctic seems to have escaped the public consciousness and the media. It’s been overshadowed by more dramatic stories like melting glaciers and starving polar bears. But it should be one of the most talked about environmental concerns of today. Here are seven reasons why HFO is dangerous and needs to be banned from use in Arctic waters. 1. It’s basically heated tar. HFO, also known as residual fuel or bunker oil, is the tar-like sludge that is left over from the crude oil refining process. It’s essentially the bottom of the barrel. It’s so viscous that it has to be heated to allow it to flow before it can be used by ships. Only denser oils are those used in asphalt and roof sealing. 2. It’s the fuel of choice for ships in the Arctic. The International Maritime Organization, an agency of the United Nations, has already banned HFO in Antarctic waters, yet HFO is still the most commonly used fuel in the Arctic. More than 1,300 ships sail through the Arctic every year, and 75% of the total mass of fuel on board was HFO. 3. It covers the land in soot. Ships using HFO emit sulfur, nitrogen oxides, and black carbon (BC). Also known as soot, BC is deposited by passing ships onto ice and snow, causing the affected area to absorb more radiation from the sun instead of reflecting it away. This leads to more warming and more melting, creating a vicious cycle. BC emissions are expected to increase, possibly as much as 46%, as Arctic shipping traffic continues to increase. 4. It can cause asthma, lung cancer, or birth defects. BC is also a major threat to health. Its fine particles are small enough to be inhaled into our lungs and cause respiratory disease, cardiovascular disease, cancer, and birth defects. This puts 4 million people from 8 different nations at risk of severe medical conditions. 5. It’s virtually impossible to clean it all up after a spill. HFO is cheaper than other crude oil alternatives but is several times more expensive to clean up after a spill. The chilly Arctic waters prevent the viscous oil from dispersing or degrading naturally, and it tends to sink rather than float on the surface. During warmer months, sunken HFO can rise to the surface and pollute shores that were already considered to be clean. 6. It could devastate Arctic ecosystems. HFO is toxic to fish, and seabirds and marine mammals that are covered by the oil are at risk of hypothermia or death. 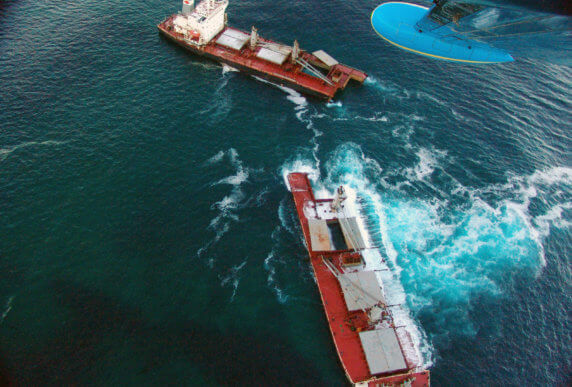 And this isn’t speculation: In 2003, a tanker ship collided with another vessel in Russia’s White Sea, spilling 54 tons of HFO into prime beluga calving habitat. Only 16 percent of the oil was ever recovered, and the area is still 22 times the permissible contamination level set by the Russian government. Multiple beluga carcasses were found in the area, and the population has been forced to seek other areas in which to give birth. A spill would be disastrous for the hundreds of indigenous communities depending on ocean life for subsistence, as well as commercial fisheries that, in many areas, serve as the economic foundation. In 2004, the Selendang Ayu lost power and ran aground outside of Dutch Harbor in the Aleutian Islands of Alaska. 338,000 gallons of fuel was spilled, forcing a portion of the tanner crab season to be canceled. Fishing crews operating out of the harbor lost an estimated $500,000 in revenue. But the news isn’t all bleak. A coalition of environmental non-profits, in which Pacific Environment is an active partner, is putting pressure on the International Maritime Organization and delegate nations to initiate a phase-out and eventual ban of HFO use in the Arctic. To find out more about our work and how you can raise awareness, click here. And you can help us protect the Arctic by taking the Clean Cruising Pledge. Carnival Corporation claims that environmental stewardship and sustainability are core company values across all 10 of its cruise line brands. Yet, most of the ships on its Arctic and Alaska routes burn dirty and dangerous heavy fuel oil. Let Carnival know that as long as they’re fueling up on one of the world’s dirtiest fossil fuels, you’re not sailing on their ships.